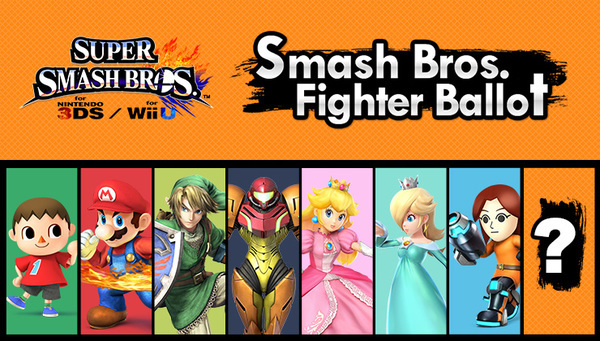 Smash Bros. Wii U/3DS Fighter Ballot data to be used as a "reference for future software"
Remember the Smash Bros. Wii U/3DS Fighter Ballot? You'd think that the Ballot info would be a dead topic by now, as Smash Wii U/3DS released years ago. Turns out that might not be the case, as a look at the fine print for the Fighter Ballot shows that various data from the poll could be used as a "reference for future software." Perhaps some of the info Nintendo received will help influence what happens in Smash Bros. Switch!